Tributes have been paid to the Church of Scotland’s first ever Hub Ministries co-ordinator who has sadly died. Rev Catriona Hood, who helped members of 12 congregations in Argyll to be even more directly involved in mission and pastoral support work, was 52. Earlier this year, she played a pivotal role in supporting the community of Tarbert following the sinking of the trawler, TT100 Nancy Glen, in Loch Fyne. Ms Hood campaigned to ensure that the bodies of fishermen, Duncan MacDougall and Przemek Krawczyk, were removed from the wreckage and brought home to their families. 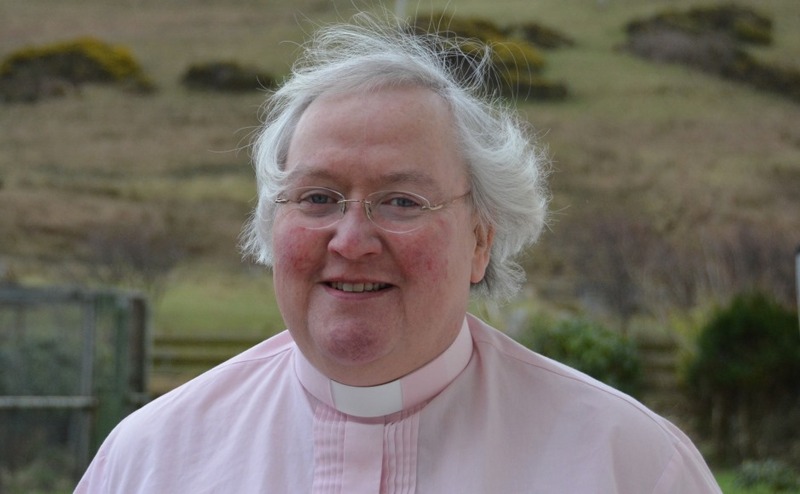 Rev Dr Roderick Campbell, Moderator of the Presbytery of Argyll, described her sudden death on September 19 as a “devastating blow and a real loss”. “Catriona was a gifted lady who loved Argyll and its people and who gave of herself unstintingly for their wellbeing,” he said. Hundreds of people attended the “gracious, gentle and much loved” minister’s funeral at Lorne and Lowland Parish Church in Campbeltown, on Saturday. Her eulogy was delivered by her friend Marilyn Shedden, business convener of the Presbytery of Argyll. Ms Shedden said: “Occasionally in life, if we are fortunate, we meet someone who makes a difference. “Catriona Hood made a difference in hundreds of lives, well over 800 in fact, if the numbers at her funeral alone are anything to go by. “She touched people wherever she went and left a mark on them. Ms Hood was born in Campbeltown on September 4, 1966, the second child to Cath and James Hood. She was educated at Castlehill Primary and Campbeltown Grammar school. Ms Hood studied English and Religious Education at Aberdeen University, where she formed an allegiance to the Granite City’s football team. She qualified as a teacher in both subjects. Ms Hood’s first school was Invergordon Academy in Easter Ross after which she worked in Plockton High School. However, Argyll called her home and she became head of English at Lochgilphead High School and subsequently a depute head teacher. Ms Hood then took up the post of head teacher at Tarbert Academy before becoming the first woman rector of Campbeltown Grammar School. Ms Shedden said: “Catriona had a special gift when it came to dealing with young people. “She respected them, cared for them and about them, and they knew this. Ms Shedden described her friend as “kind and considerate, funny and faithful”. “She had a unique style of teaching and never tried to solve confrontation with further confrontation, but used her people skills to transform potentially difficult situations with reasoning and love,” she added. Ms Hood’s father James was a Church of Scotland minister in Campbeltown and in 2006 she was ordained as an Auxiliary Minister. She devoted most of her spare time in her already busy job, to pastoring and ministering to folk in Kintyre. Ms Shedden said: “People loved her and loved her gentle, unique ways. Ms Shedden said Ms Hood finally responded to the “whisper of God” that persisted in her life and she became the first Hub Minister in Scotland. “This involved looking after six congregations in Kintyre and latterly a further six on Islay and Jura,” she explained. “She thrived on this opportunity and challenge and she had a vision and a commitment that was making this pioneering form of ministry work. “She was a real God spark. “She ignited enthusiasm and challenge to lead people forward to embrace new ways to take the Gospel into the community, while retaining with respect and affection the old ways that are precious to so many. Ms Shedden said Ms Hood was there when people needed someone and was a “Godsend” in so many ways. “Catriona was also a very gifted musician and could double up as organist and preacher in these times when there is a shortage of both,” she added. “Her last nine months as full-time Hub Minister brought Catriona great joy, especially when she saw her folk grow in faith and unity. “It was a dreadful shock when after a sudden and short illness Catriona's health failed and she died. Rev Jayne Scott, Secretary to the Ministries Council of the Church of Scotland, said: “As the first minister to be appointed to help develop a team approach to ministry, Catriona was someone with commitment and enthusiasm for opening up possibilities for innovation.